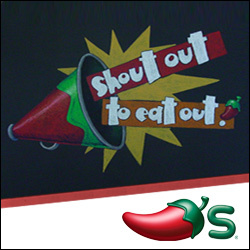 Right now, Chili’s is having a fun Shout Out to Eat Out contest. 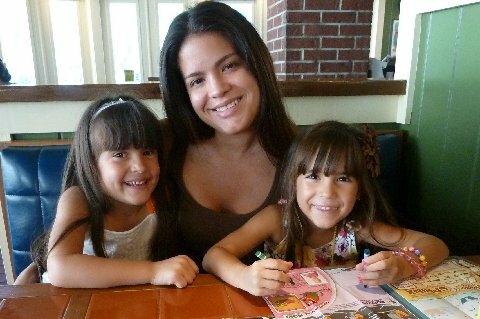 You can enter to win a $20 Chili’s Gift Card or the Grand Prize of $333 DAILY just by uploading your photo and creating your own virtual Triple Dipper Trio via one of their fun images. The best part- a winner is chosen EVERYDAY! 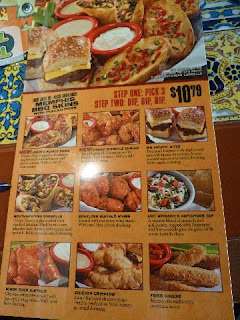 Recently I was able to review Chili's Triple Dipper Combo. This is an appetizer but honestly it can be a meal on it's own! "dream" triple combo! I am not embarrased to admit that I have a sweet tooth so my ideal plate would be full of desserts - red velvet cupcakes w/cream cheese icing, strawberry cheesecake and apple pie a la mode! YUM! 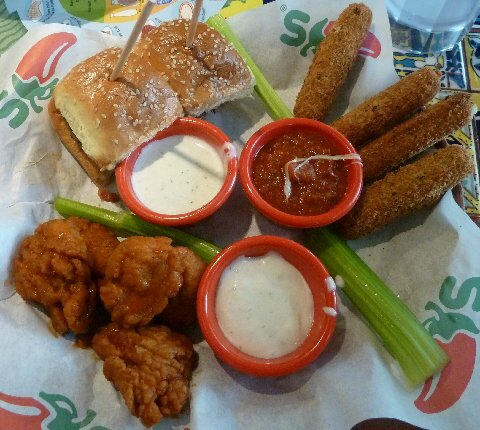 What's your fave Chili's Triple Dipper Combo? What 3 things would your "dream" plate include? One lucky winner will win a $20.00 Chili's giftcard! then come back & leave me a comment that you did it! 10. Write a post on your blog about your 3 favorite foods you would like to have all on 1 plate and mention the Shoutout2eatout.com promotion. Then comment with the URL link. Disclaimer:I received a $20 Chili's giftcard for the purposes of trying out the Triple Dipper Trio for this review. That being said, this review is my 100% honest opinion of this product - I am not paid for my reviews or optinions! They are 100% mine! Please remember that your opinions and tastes might differ from mine. 3 favorites on one plate--any type of Mexican food followed by a warm chocolate nutty brownie covered in ice cream! 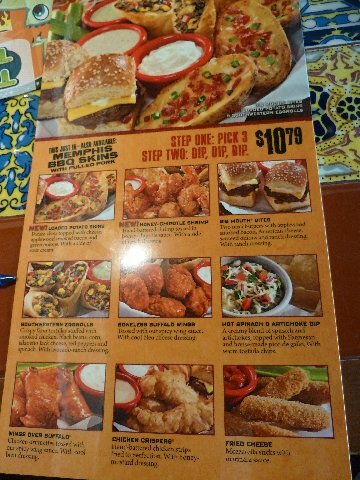 I'd like honey chipotle shrimp, loaded potato skins, and boneless buffalo wings on one plate. I subscribe to Chilis emails. I entered your blog name in the google form! I created my terrific trio but i forgot to get the url...oops! The 3 foods I would like on my plate are the chicken crispers, the southwest eggrolls and the sliders! YUM! I subscribe to chili's emails! would love cheese sticks, hot wings, and onion rings all on the same plate. I am following your blog via GFC (Veronica) Thanks! My 3 fav foods would be Steak, Stuffed Mushrooms & Cheesecake! I follow Mom to 2 Posh Divas via GFC. I follow Mom to 2 Posh Divas on Twitter. i would love lobster, cheesecake & pizza on one plate! I would love pizza, chicken strips and cheese fries on one plate! I follow Chili's and Shout out on Twitter! I'm subscribed to Chili's email club. My 3 favorites on one plate are breaded pork chop, fajita quesadilla, and fried chicken thigh. 3 fave foods on one plate: enchiladas, chips & salsa and shrimp! I would like mashed potatoes, pasta and pizza. Shrimp, Spaghetti & BBQ Ribs! I'd like to have bbq chicken, potato skins and corn on the cob. I'd love pizza, a cheeseburger, and ice cream on one plate. Yummy! I would love to have wings, pizza and fries on a plate!! I "like" Chili's on Facebook! I opted in to Chili's email! Did the mandatory by entering your name. I have already done the create trio entry. I cannot for the life of me find my pic in the 500 something pages of entries. If you have to erase this because it won't count I will understand. I would love some info on how to find my pic. There are a couple hindred of these giveaways going on. Thanks. A photo has already been submitted by lewalk@hotmail.com. This ^^^ came up when I tried to do another one. Right at the moment my 3 fave foods are Lucky Charms, steak, and pizza. Weird right? Follow both Chili's pages on Twitter.